BACK ACTIVE!! Buyer couldn't get his financing together... his loss, your gain!! YOUR SEARCH IS OVER!! 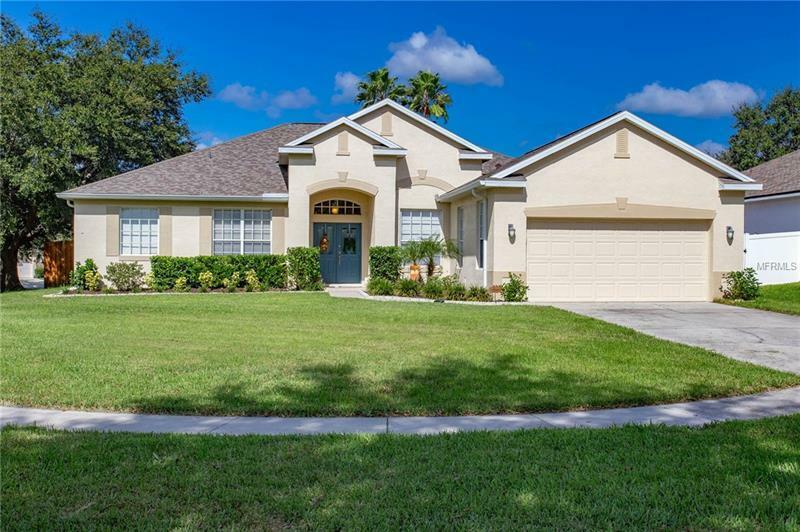 You don't want to miss this 4 bedroom, 3 bath POOL Home located in the DESIRABLE BLOOMINGDALE community with NEWER ROOF (2015) and NEWER AC (2015) on an OVERSIZED 0.30 ACRE Corner Lot in a quiet Cul-de-sec. The Open Kitchen boasts GRANITE Counters, STAINLESS STEEL Appliances and Solid Wood Cabinets. NEW WATER HEATER, NEW Sprinkler System (2015), NEW FRONT DOOR. Carpet throughout living area and bedrooms. Tile in kitchen and wet areas. Master bedroom includes dual closets and sinks, trey ceilings and access to pool area. Split bedroom floor plan offers options with formal dining room/game room and office/formal living room. The FENCED YARD has plenty of space for pets and activities. Bloomingdale has Top Rated Schools, close to shopping, dining and I-75/Selmon Expressway.